The JMRCA Japanese electric buggy nationals took place this weekend at the newly renovated Yatabe Arena, host to next weekend’s ATS race. 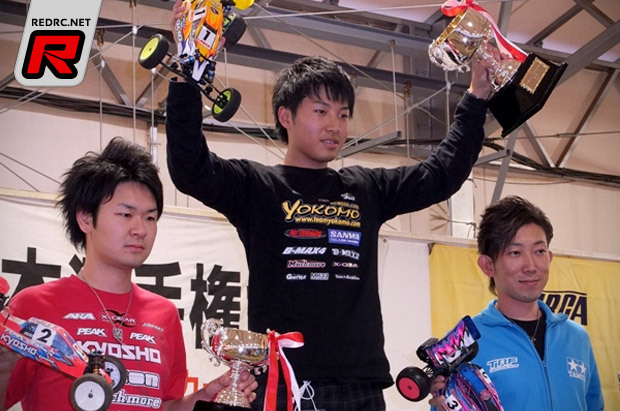 With the race being on home soil for Yokomo, it was their factory driver and two time World 1/12th Champion who begun his title defense by taking the top qualifying spot in both 2wd and 4wd with the B-Max2 and B-Max4 respectively. 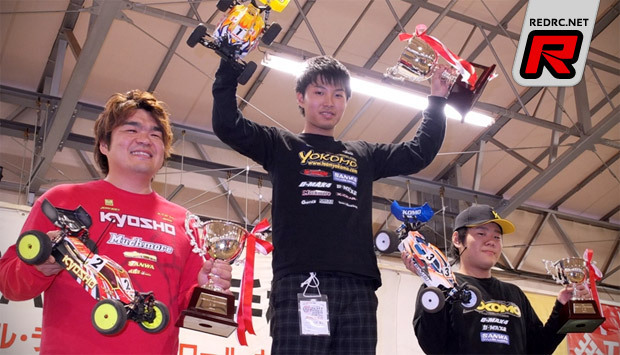 In the 2wd class it was Kohta Akimoto (Kyosho) and Satoshi Maezumi (Tamiya) that completed the top 3, while in 4wd class it was Shin Adachi (Kyosho) and Keisuke Enomoto (Yokomo). 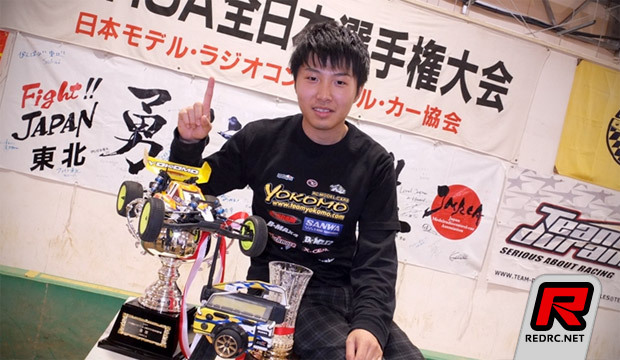 In the 2wd finals, Naoto was unchallenged as he wrapped up his 4th consecutive title in this class winning all 3 legs ahead of Akimoto in 2nd and Maezumi in 3rd. It was the same result in 4wd as Naoto dominated all three legs to take victory in front of Adachi in 2nd and Enomoto in 3rd, giving Naoto his 5th consecutive 4wd National title.